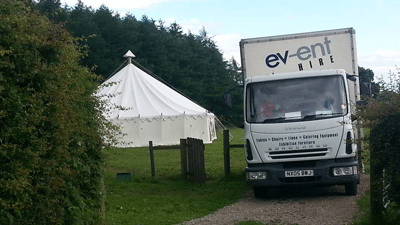 At one point last year, Event Hire's catering equipment hire products were being used on the same weekend at 28 simultaneous weddings across the country - a stat that will hopefully be smashed this July. Event Hire UK works closely with professional caterers to provide catering equipment hire products for weddings, corporate events, award ceremonies and other similar events. Of course, the months of July and August sees weddings come to the fore, with brides and grooms hoping for glorious sunny weather for their special day. Marquee weddings often take place in fields and other similar destinations away from the main venue, and so it's important we offer both gas catering equipment hire products and electrical catering equipment hire products so that caterers have the best of both worlds....and are not dictated to too much by the power supply available. Most caterers will need gas burners and ovens to hire along with hot cupboards and refrigeration equipment such as fridges and freezers to name buit a few of the items that we have in stock. At the same time, caterers will also no doubt want to hire crockery, glassware and cutlery hire products, which is where Event Hire UK comes into its own as we offer the complete one stop shop for all your wedding furniture hire and wedding catering equipment hire requirements. Don't hesitate to contact the experts today at Event Hire UK - we will welcome your call.